Want to experience the best in condo living in one of the city’s premier spots? Vote for Miss Primavera 2014 and win a luxurious stay at Primavera Residences. As one of the sponsors in this year’s Miss Cagayan de Oro, Primavera Residences – a multi-awarded green condo complex located in Pueblo do Oro Business Park – will once again pick one lucky contestant to become Miss Primavera 2014. Kagay-anons now have a chance to participate in the selection by voting for their favorite candidate. Starting August 6 up to 20, voters can vote either by dropping by at the Primavera Residences booth at SM City CdO or visiting the Primavera Sales Office. One lucky voter will be picked to win an overnight stay at Primavera Residences. Five voters will also be picked to win exclusive invites to a special event on the 25th. Miss Primavera will be chosen based on the values that represent what Primavera Residences is known for: inspiring brilliance, effortless elegance and world-class beauty. Since 2012, Primavera Residences has carefully selected from among the roster of beauties and picked the perfect candidate who embodies these values. 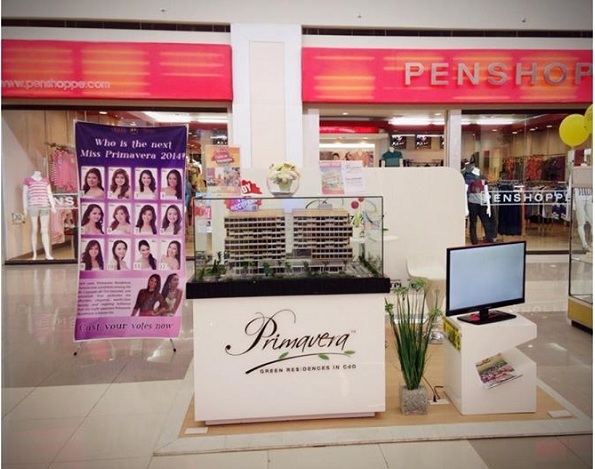 The winner of this year’s Miss Primavera will be announced during the Miss Cagayan de Oro 2014 Coronation Night on August 23 to be held at the Limketkai Center Atrium. Primavera Residences is a green, mixed-use development in Uptown Cagayan de Oro offering residential, commercial and office units for sale and rent. It is the first eco-friendly building in Cagayan de Oro. Because of its green features, it won in the 2014-2015 Asia Pacific Property Awards held in Kuala Lumpur for Best Mixed-Use Development in the Philippines. For any inquiries on activities and contests at Primavera Residences, call (088) 310-8173, 0917-7921078 or visit www.primaveraresidences.com.